Did you know that despite tooth sensitivity being an important research topic for dentists, we still don't understand it fully? We think that the pain of tooth sensitivity occurs due to the movement of fluid within part of the tooth structure. This theory is called the hydrodynamic theory (e.g. hydo meaning fluid, and dynamic indicating movement). What we do know it that people are living healthier, more active lives for longer and we want our teeth to come on the journey with us. If your teeth are sensitive to cold or brushing we need to sort out if the problem is sensitivity or other things like cracked teeth or decay. In the case of sensitive - YOU - are the best at preventing and treating this condition. Desensitising tooth pastes, why and how? Why do teeth become sensitive? Generally tooth pastes advertised as effective for sensitive teeth can take two weeks of use twice a day to show some reduction in sensitivity. These should be used per manufacturers instructions. Alternatively to using just as a toothpaste it may be effective to place a small quantity of the toothpaste on the sensitive tooth/teeth and leave it for 5 minutes before rinsing it off. Tooth pastes for sensitive teeth generally have potassium salts as their active ingredient. These potassium ions pass easily though the enamel and dentine to the pulp where it is believed they act by interfering with the transmission of stimuli. As a result of gum recession and thinning of enamel or loss of enamel (Enamel is the outer protective surface of the tooth) you may allow the inner material of the tooth (dentine) to come into contact with something that irritates it. Within teeth is a cavity in which nerves and blood vessels live and the nerves can become irritated by temperature changes, chemical irritation or changes in pressure. 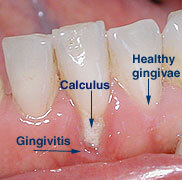 It is important to see your dentist to work out the cause of sensitivity. Decay or cracks can cause sensitivity, which require treatment to prevent or treat a serious dental problem. Good cleaning: make sure you are cleaning to remove the bacteria around teeth without damaging the gums or teeth. Diet: Limit acid which abrades the protective covering on teeth. We understand that, while not life threatening or a serious dental problem, having sensitive teeth is annoying and unpleasant. In a review of dental literature (ADJ vol 51: Sept 2006) http://www.ada.org.au/_ADJSep06.asp identified many different treatment options for helping relieve pain from having the dentine of the tooth irritated.